ASPEN HYSYS training will cover Process modeling tool for conceptual design, safety and control studies pipeline hydraulics. 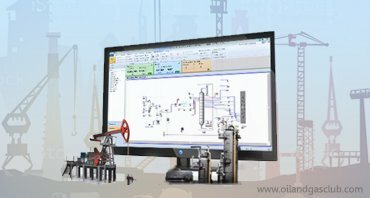 Aspen HYSYS is a market-leading process Simulation tool for conceptual design, optimization, business planning, asset management, and performance monitoring for oil & gas production, gas processing, petroleum refining, and air separation industries. Aspen HYSYS is a core element of AspenTech’s aspenONE™ Process Engineering applications. +–What is the objective of aspen HYSYS training? Aspen HYSYS is the market-leading process modeling tool with a proven track record of providing substantial economic benefits throughout the process engineering life cycle. It brings the power of process simulation to the engineering desktop, enabling companies to bring new plants and designs to market faster and more efficiently at a higher return on investment. The process simulation capabilities of Aspen HYSYS enable engineers to rapidly evaluate the safest and most profitable designs through quick creation of interactive models for “what-if” studies and sensitivity analysis. These models can be leveraged throughout the plant life cycle—from conceptual design to detailed design, rating, and optimization—significantly reducing engineering costs and enabling better operating decisions. +–Who should attend aspen HYSYS training? ▸▾Aspen HYSYS course benefits ?